As explorers and scientists have known for decades, the Neotropics harbor a fantastic array of our planet’s mammalian diversity, from capybaras and capuchins to maned wolves and mouse opossums to sloths and sakis. This biological bounty can be attributed partly to the striking diversity of Neotropical landscapes and climates and partly to a series of continental connections that permitted intermittent faunal exchanges with Africa, Antarctica, Australia, and North America. Thus, to comprehend the development of modern Neotropical mammal faunas requires not only mastery of the Neotropics’ substantial diversity, but also knowledge of mammalian lineages and landscapes dating back to the Mesozoic. 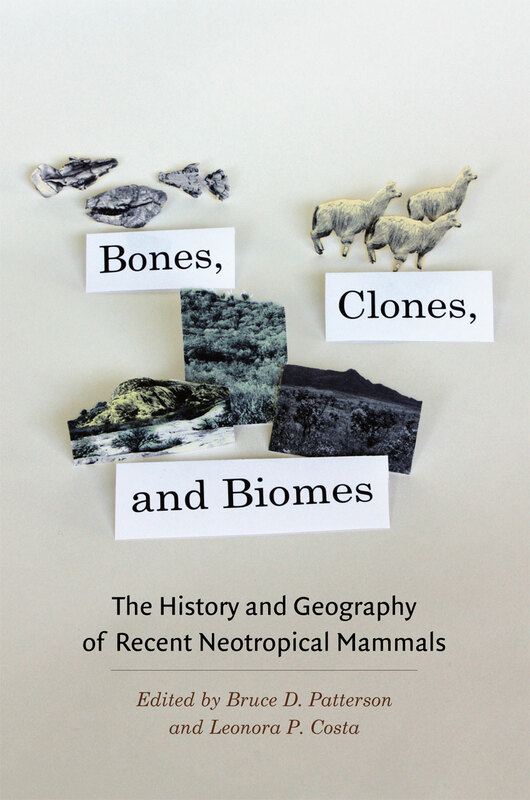 Bones, Clones, and Biomes offers just that—an exploration of the development and relationships of the modern mammal fauna through a series of studies that encompass the last 100 million years and both Central and South America. This work serves as a complement to more taxonomically driven works, providing for readers the long geologic and biogeographic contexts that undergird the abundance and diversity of Neotropical mammals. Rather than documenting diversity or distribution, this collection traverses the patterns that the distributions and relationships across mammal species convey, bringing together for the first time geology, paleobiology, systematics, mammalogy, and biogeography. Of critical importance is the book’s utility for current conservation and management programs, part of a rapidly rising conservation paleobiology initiative. "An exploration of the development and relationships of the modern mammal fauna through a series of studies that encompass the last 100 million years and both Central and South America. This work serves as a complement to more taxonomically driven works, providing for readers the long geologic and biogeographical contexts that undergird the abundance and diversity of Neotropical mammals."